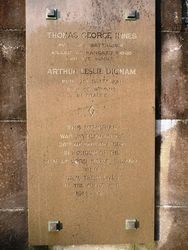 The monument commemorates Thomas Innes and Arthur Dignam, who died in service or were killed in action during World War One. 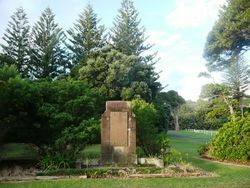 Rectangular shaped monument constructed from sandstone blocks and resting on a poured concrete base set in a garden area and facing south west. Sandstone blocks form a rectangular base with one row of sandstone blocks placed vertically around three sides of the base which form a small retaining wall. A rectangular shaft rises from the centre of the base and consists of blocks of sandstone joined with mortar. The first layer has a bevelled edge and the top two layers are set in with decorative curved elements on each side. 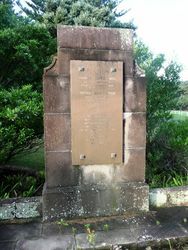 A polished granite plaque is attached to the front face. 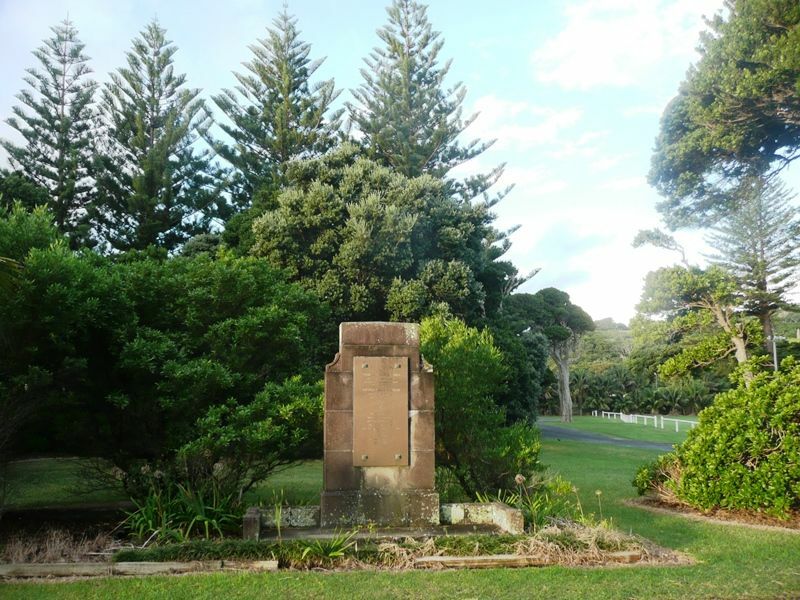 This memorial was unveiled on 26 of January 1925 In honour of the men of Lord Howe Island who gave their lives in the Great War.